Lehman Brothers was founded in 1850 by three brothers who emigrated to the USA from Germany, initially running a store in Alabama. But they soon turned to cotton trading and shifted operations to New York. 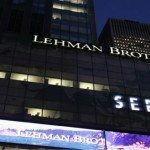 Lehman remained a commodities house until the early 20th century, when the focus switched to public offerings, laying foundations for a financial services institution that would become one of the world’s great investment banks. By 2008, after a short-lived merger with American Express, Lehman had reinvented itself as an independent asset-management company, with over 28,000 employees and turnover up from $2.7 billion in 1994 to more than $19 billion. But there had been difficulties along the way – disruption when its World Trade Centre offices were destroyed in the 9/11 attacks and an expensive run-in with regulators over the way the bank’s investment division influenced the findings of its research analysts. These setbacks paled into insignificance during 2008. Lehman was heavily involved in the subprime loans business, an activity that was driving unsustainable economic growth. But these were by definition the riskiest of loans, to consumers without security whose ability to repay was recklessly taken on trust. Despite suffering a $50 million hit by closing its own subprime mortgage lender in 2007, Lehman was still badly exposed. When securitizing vast mortgage packages for onward sale, the company sold the best mortgages and kept the worst, a decision that proved catastrophic. Huge losses were reported, Lehman Brothers stock lost three-quarters of its value, then plunged again when rumors of a takeover came to nothing. A mass exodus of clients took place, the firm’s assets were drastically downgraded by credit agencies and the firm was forced to file for bankruptcy in September 2008. Unbelievably, this great financial behemoth had been slain by its own misjudgments. What was the Collapse of Lehman Brothers toll: Disastrous – the collapse of Lehman Brothers was the shove that finally pushed the tottering global financial system off a cliff, precipitating a crisis that threatened to become another worldwide Great Depression. You should know: The world financial meltdown might have been avoided (or at least mitigated) if the demise of such an important investment bank had been averted. But the US government failed to appreciate the potential gravity of the situation and refused to mount a bail-out that would have cost but a tiny fraction of its subsequent mega-investment in economic stimulus measures and rescue packages for broken financial institutions.